This post is all about Downtown Dallas and is part 5 of the “Where Should I Live In Dallas?” series. Long the central business center of Dallas, the Downtown neighborhood has recently seen an upswing in the number of residents who call it home. With a greatly increased population over the past few decades, Downtown is home to a varying assortment of businesses, activities to do, dining & nightlife options, and sought-after residences. For nearly its entire history, Downtown Dallas has been one of the country’s leading commercial hubs. Beginning in the late 1800’s, big business came to the area and the skyline of Downtown Dallas has continually become more and more awe-inspiring ever since. The area, which was the Southwest’s industrial headquarters during the end of the 19th century, became a major financial and insurance hub in the early 1900’s. Until the end of the last century, Downtown had remained almost solely as a home for corporations and other business organizations. Near the turn of the century, however, many developers built or converted old office buildings into residential space, creating an influx of residents into the Downtown area. Since then, this lively district of Dallas has transformed into one of the most sought after residential destinations in the city. Downtown is the apex of the business world in Dallas. This area is the most populated business district in the city, and has been home to a number of major companies throughout its history. There are a number of different industries prominent in Downtown Dallas including banking offices, major legal firms, accounting companies and oil & gas giants. The skyline of Downtown is graced with a number of notable office buildings ranging from historic to modern. Some of the more well-known skyscrapers are Fountain Place, One AT&T Plaza, Renaissance Tower and Chase Tower. Arguably the most famous site in Downtown is the Reunion Tower which was built in 1978. This structure gives visitors an impressive view from 500 feet above the ground. The Reunion Tower even has a lounge which rotates, giving visitors a panoramic view of the skyline. Over the past few decades, Downtown Dallas has become one of the city’s most popular places to live thanks to its upbeat urban lifestyle. As is to be expected in an urban setting, residences consist of apartments and condos. 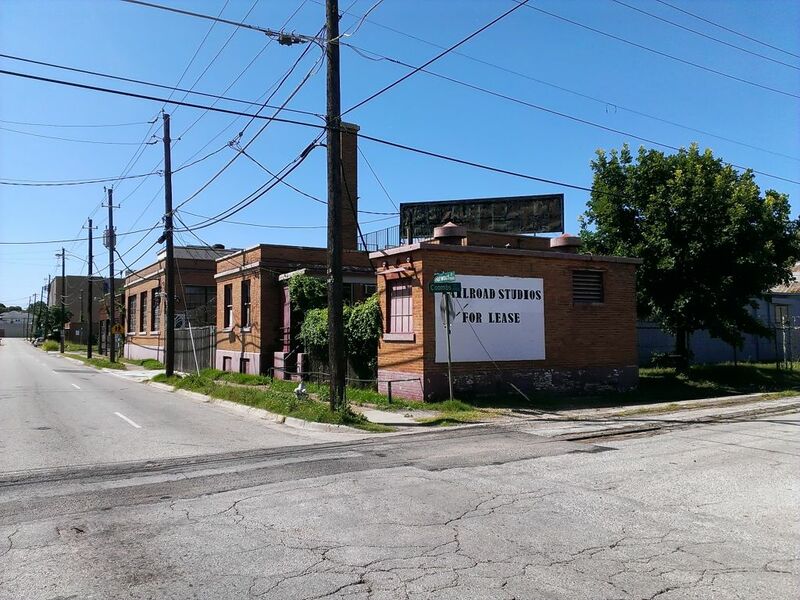 A surge of new residents has caused many developers to convert old commercial buildings into loft apartments for rent, such as: the Interurban Building, Davis Building and 1900 Elm. Developers also saw the potential in creating high-rise residential condo buildings and provided Downtown with glamorous residences like One Arts Plaza, Museum Tower and The Metropolitan. One of the most popular jewels in the Downtown area is the Arts District. This section of Downtown, which borders the neighboring Uptown community to the north, is home to countless cultural landmarks and venues. Enjoying easy access from a number of different major roadways, the Arts District is the city’s cultural hub. 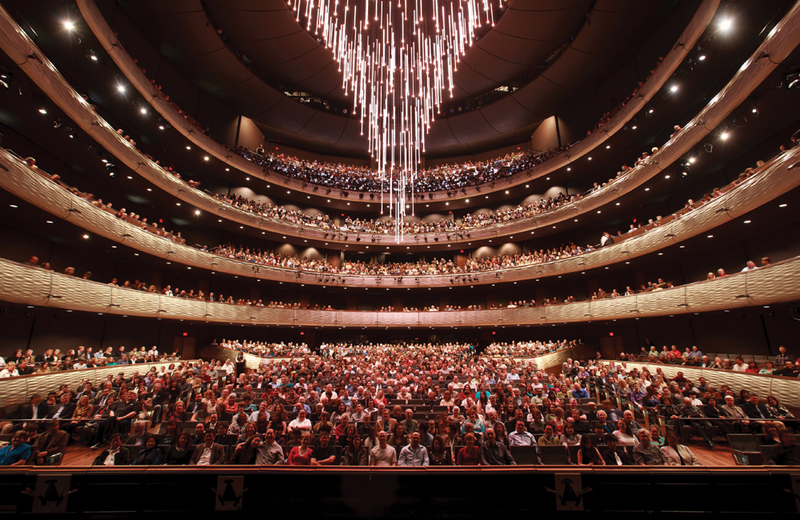 Famous attractions include the AT&T Performing Arts Center, which features a number of venues such as the Margot and Bill Winspear Opera House and the ten-acre Elaine D and Charles A. Sammons Park. Another famous Arts District landmark is the Morton H. Meyerson Symphony Center, home to a massive 4,535-pipe organ. Another section of Downtown that has seen significant improvements and revitalization over the past couple of decades has been the Cedars neighborhood. In the late 1800’s, this community was abundant with large residential Victorian homes belonging to the city’s elite. Over the next century, this part of Downtown took a downturn and in the late 20th century, and the Cedars became home to many industrial buildings and abandoned residences. Despite its scarred history, the Cedars area of Downtown is now a lively residential neighborhood with a strong emphasis on the arts. "I love the fact that it's so off the beaten path and ignored by the 'trendsetters'. The cedars could use a lot of improvement and the community is working on it but it still looks like an area of industry which is cool and what makes the area so interesting, to me anyway. See, I grew up in Germany and Europeans are not the kind of people that just tear something down because they are sick of looking at it or because it's old. They appreciate their history and actually do what they can to keep or rebuild buildings to their original glory. Here, in America, it's nothing but tear it down and throw it away. The Cedars is working hard to preserve it's history." The Cedars is one of the few neighborhoods remaining with affordable live/work space near Downtown Dallas. There are a number of popular loft communities in the area such as Harwood Studio Lofts, and the expansive South Side on Lamar. Since its opening in 1941, the Dallas Farmers Market is the local destination for anyone wanting produce and specialty foods. Consisting of four “sheds”, the market divides its space between local farmers, retail produce dealers and wholesale produce distributors. Shed 2 at the Farmers market is home to retailers of specialty foods and small restaurants and eateries. Considered by many to be the most popular among all of the food vendors is Pecan Lodge, a BBQ restaurant which has gathered a local cult-like following and national coverage on the TV program Diners, Drive-Ins and Dives. The Kay Bailey Hutchinson Convention Center is a major home to tradeshows and various events throughout the year. With over one million square feet of exhibit space, the convention center provides ample room for nearly any needs. The 203,000 square foot exhibit hall in the center of the complex is column-free and the largest of its type in the country. In 2011, the Omni Dallas Convention Center hotel opened, forever changing the city’s skyline. This 1,001 room hotel was partially funded by the City of Dallas in order to accommodate convention center traffic and features LED lights across the side of the building, majestically illuminating the structure at night. The Downtown area is not just big buildings and concrete – there are numerous parks scattered throughout the community to give residents relaxing green space to enjoy the city’s outdoors. Klyde Warren Park – The Klyde Warren Park is a 5.2 acre open space over the Woodall Rodgers freeway, on the northern edge of the Downtown area. The park features jogging trails, a playground and grassy areas for playing and relaxing. Every weekend, food trucks line the park drawing crowds from all over Dallas. Belo Garden – Located in the center of Downtown Dallas, Belo Garden packs over 100 trees and over 10,000 different plants into its 1.7 acre space. One of the draws of Belo Garden is that over 75% of its plantlife is native to Texas. Main Street Garden – Located right along Main Street, the Main Street Garden is a popular choice for local residents wanting to relax amidst Downtown Dallas’ historic buildings. This park area is home to many different Downtown events throughout the year. One reason that residents like living in Downtown Dallas so much is because it is so easy to get around the area. Many Downtown residents live, work and play within the community, and they take advantage of local transportation choices instead of driving everywhere. Two miles of underground pedestrian walkways in “The Tunnels” makes it easy to walk from place to place downtown, regardless of weather and congestion problems on the surface. This section of Dallas is very pedestrian friendly, and walking is often the favorite way for residents to get around. When walking isn’t a viable option, there are countless other ways to move about without having to drive. DART Rail – The DART (Dallas Area Rapid Transit) Rail is a popular light rail transportation option that connects Downtown with many other sections of the city and neighboring areas quickly and affordably. Art Cart – The Art Cart is a free transportation system that runs throughout the Arts District from One Arts Plaza to various different venues in the area. E-Frogs – E-Frogs are small electric carts which can be served in order to get around the Downtown area quickly and emissions-free. Megabus – Providing Dallas residents and visitors with access to a nationwide system of buses, Megabus recently added a stop in Downtown Dallas to its route list. For both residents and visitors, there is rarely a lack of things to do Downtown. In addition to the countless number of events that are constantly going on locally, there are many intriguing attractions which draw visitors from all over the city. Perot Museum of Nature and Science – Named after famous billionaires Ross and Margot Perot, the Perot Museum is home to many permanent and traveling science and nature exhibits. Dallas World Aquarium – The Dallas World Aquarium opened its doors in 1992 and hosts a massive collection of marine life. In addition to its aquarium exhibits, there are also plenty of other animals on display including birds and mammals. Reunion Tower GeO-Deck – One of Downtown's newest attractions is the GeO observation deck at the top of Reunion Tower. The tower is decked out with state of the art interactive displays and maps. Nasher Sculpture Center – This museum is home to the area’s largest collection of modern and contemporary sculptures and features both an indoors gallery and outdoors garden. Dallas Museum of Art – The Dallas Museum of Art has over 24,000 different pieces on exhibit dating back as far as 5,000 years ago. In addition, the museum’s research library contains over 50,000 volumes of work. Holocaust Museum – This museum, originally created by local residents who were survivors of the Holocaust and provides much first-hand insight into the event. Sixth Floor Museum – The Sixth Floor Museum is located on the sixth floor of the former Texas School Book Depository, and is supposedly the location where Lee Harvey Oswald fired the fatal shot at John F. Kennedy. The museum is home to many displays from both JFK’s life and his assassination. Dallas Chop House – The Dallas Chop House is an upscale steakhouse with popular menu choices including the beef tartar and the jumbo lump crab cakes. Fedora – Located in the Arts District, this classy Italian restaurant is reminiscent of the 1940s from its décor to its choice of background music. Iron Cactus – Iron Cactus is an always-popular Mexican restaurant located on Main Street. From their brunch to their martinis, Iron Cactus is a choice destination for local businesspeople and residents alike. Lee Harvey's – This friendly bar has a spacious outdoor yard that provides picnic table seating around large fire pits. Lee Harvey’s is a popular choice for those seeking live music. The Cedars Social –This trendy lounge combines distinct cocktails with a delectable food menu. Top food picks include the truffled mac n’ cheese and the lobster pot pie. Chicken Scratch/The Foundry – Chicken Scratch provides guests with delicious southern style cooking while The Foundry is an outdoor patio bar known for its music and relaxed vibe. House of Blues – One of Downtown’s most popular music venues, the House of Blues is home to many national musicians and also has its own restaurant featuring down-home classics. City Tavern – This laid-back pub has reasonable drink prices, a casual atmosphere and a respectable beer and liquor selection. Five-Sixty by Wolfgang Puck – Five-Sixty is a restaurant by famed chef Wolfgang Puck is located in Downtown’s Reunion Towers, and gives diners a rotating view from high above the city. For the majority of residents, Downtown Dallas offers all of the amenities that they could ask for in an urban area. Transportation makes getting around easy, and countless events and attractions leave no time for boredom in this community. From employment opportunities at a myriad of corporate headquarters to fine dining and lively nightlife, the Downtown neighborhood is the ideal choice for anyone who desires an upbeat, city-lifestyle in the Dallas area.